You may have heard about the recent bubble (or hump) nail art that seems to have taken over social media. The idea basically involves applying acrylic onto the nail in a globular circle to create a 3d hump effect. Once applied, the outside of the ‘hump’ is embellished with decorations to emphasize it. The outcome is bold and loud. If perhaps, you are not a fan of this new art craze, feast your eyes on some awesome nail art that will put the new bubble nail to shame. 1. Funky out of space nails Funky out of space nails; Check out these awesome out of space nails. Perfect for nights out with the girls, this nail art design by Princess Polish would look amazing with you LBD in a club. 2. Summer stripes Striped summer nails; If you are looking for a great nail design that denotes fun and summery days, then this is the one for you. This is a fabulous design that will suit days out in the summer sun. 3. 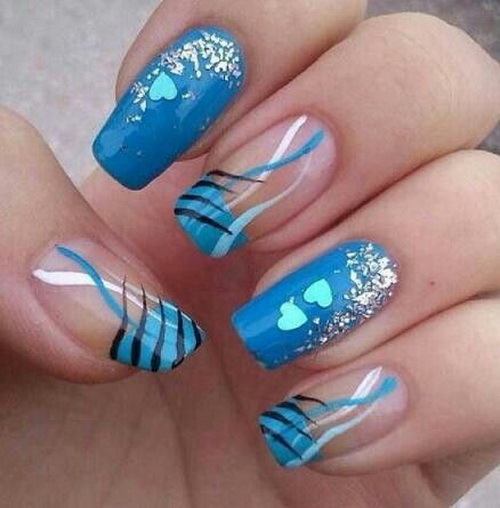 Beautiful in blue Beautiful in blue: A design that appears carefully crafted, this nail art would suit a classic and elegant outfit, that is ideal for the day or evening. It certainly puts the wacky hump nail to shame! 4. Gold and black striped nails Gorgeous gold and black striped nail: What would look better on a night out than this black and gold striped nail design? You will be the ultimate diva with these funky nails and a sparkly dress. 5. Swirled purple nail design Swirly purple nail art: Described as swirly purple Konan nail art, this design is truly amazing and a look that would compliment this season’s sixties vibe. Funky flower nail art: Make the most of summer (or what’s left of it) with this pretty summery nail art. 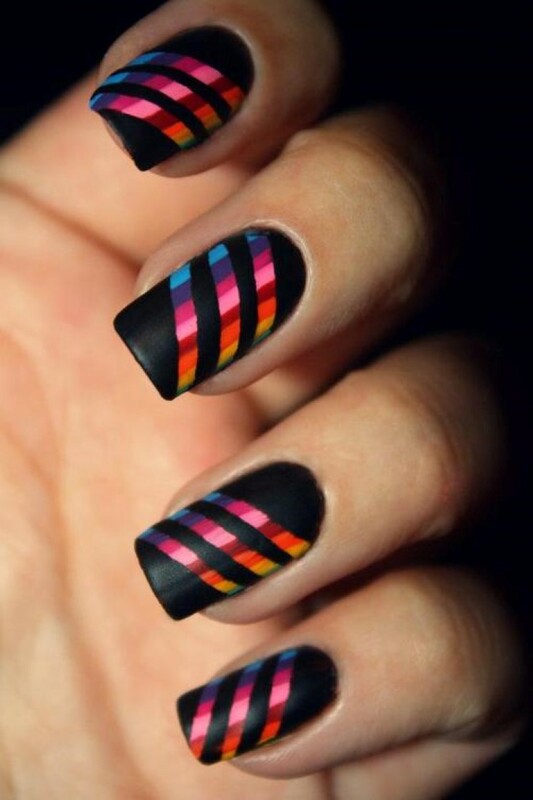 With designs like these, we can soon forget all about those dreaded hump nails!